We want you to join #TeamSFAD! Take part in the Dundee Kiltwalk on Sunday 20 August and help raise money for Scottish Families. You can choose to walk 26, 11 or 6 miles – no matter what distance you choose to walk you will be helping to support families across Scotland. 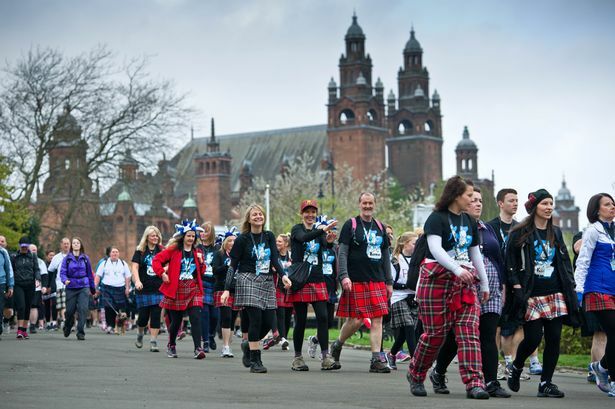 Best of all we have a limited number of FREE places for the Dundee Kiltwalk. All we ask is that you commit to raising at least £50 minimum sponsorship. All Kiltwalkers get free drinks and snacks en route, a hot meal when you pass the finish line, a medal, and the chance to relax and enjoy the party atmosphere in the Kiltwalk village once you pass the finish line. It is easy to register, to claim your free place please contact Fundraising Manager Sarah Nottingham on sarah@sfad.org.uk or call 0141 465 7523. We will then send you a unique registration code and joining instructions.